Newtons4th or (N4L) designs, manufactures and support sophisticated test equipment for the power electronics industry in Leicester City Centre, United Kingdom. Established in 1997 the firm has grown from strength to strength and moved to a new state of the art facility covering 2,040m² a purpose built clean manufacturing facility. Who are we to Newtons4th? Having the expertise to market power analysers – Action Instruments SA realised that N4L were technology leaders and found the instruments became well accepted into the local market – due to innovative technology and realistic pricing. Newtons 4th makes sophisticated test equipment for the power electronics industry including Power Analysers, Frequency Response Analysers (gain/phase analysers), AC Power Sources, Impedance Analysers and Selective Level Meters. With most instruments coming with a 3 year warranty. 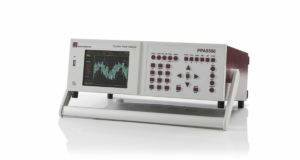 Currently widely used in the electrical power (transformers and motors) new and refurbishment industry, testing laboratories, tertiary education institutions and anywhere that accurate measurement at a wide frequency range are required – N4L Power Analyser’s handle 1~6 Phase – DC & 10 mHz~2 MHz and at low power factors. Many models are available for specific sections of the electrical measuring & testing industry. Free downloadable software enables data logging/graphing /power analysis plus data acquisition/graphing and frequency response analysis graphing, as well as IEC61000 Harmonics and Flicker test software. They also provide – from their own in-house facility – an accredited calibration UKAS ISO17025 certificate with every new power analyser. This is a first in this industry and gives users of N4L power analysers a higher level of standard certification than any other power analyser manufacturer. Please review N4L via the link in the website.